We’ve been working to allow fish to migrate freely up and down two of Yorkshire’s rivers, taking rivers back to how they would have been before the industrial revolution. 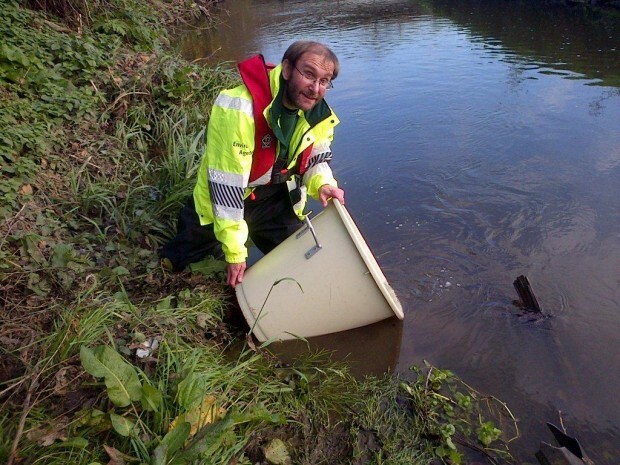 In the last few months we’ve made significant additions to Yorkshire’s ’fish highway’ – removing a weir on the River Don in Sheffield and a weir on the River Aire in Leeds. Removing weirs helps fish to get up the river and restores valuable river habitat. Many fish need clean gravel to spawn on. Mud often settles in the slow water behind weirs, smothering the river bed, making it unsuitable for spawning fish. We removed a section of Ward End weir in Sheffield and repaired the remaining section so that the local heritage can be appreciated. We also removed Newlay Weir on the River Aire at Horsforth in Leeds. Both these rivers had similar characteristics in that they were deep, wide and slow flowing behind the weir, which meant there was poor quality habitat for fish and invertebrates. 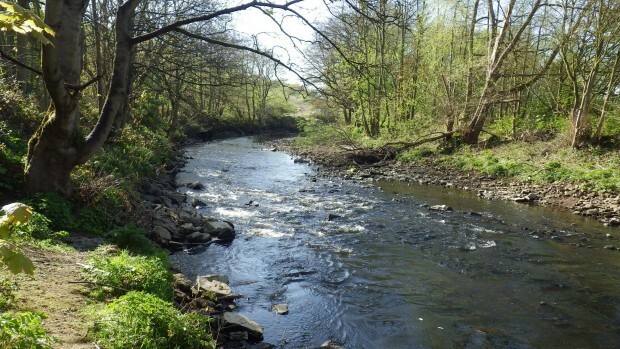 Both rivers are now returning to a natural series of shallow, fast sections separated by deeper pools – which provide a better habitat for the coarse fish, grayling and brown trout that live there and for the invertebrates that they feed on. We can’t remove all the weirs on Yorkshire’s rivers – many are still being used and we can’t remove weirs if buildings, walls or bridges could be damaged, or where we would increase the risk of flooding. So we use the solution of fish passes, building them when weirs can’t be removed. And we couldn’t do any of this without working with our partners, like the Aire Rivers Trust, Don Catchment Rivers Trust, the Canal and Rivers Trust, local councils and Yorkshire Water. Weir removals and fish passes create ‘fish highways’ making a faster, easier route from the sea right up to the upper reaches of the rivers. This will benefit coarse fish that spend their entire lives in the river, as well as the species that migrate between the river and the sea, such as salmon, sea trout and eel. Coarse fish washed downstream during floods will be able to return to their spawning grounds upstream. In time, salmon will also return when they can reach suitable clean gravel for spawning. But the work doesn’t stop here in. Later this year work will start on two collapsible weirs in Leeds city centre, as part of the Leeds Flood Alleviation Scheme. 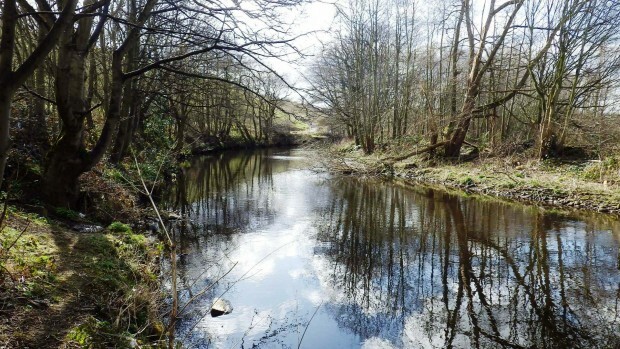 Both of these new weirs will include fish passes, bringing more fish back to Yorkshire’s ‘fish highway’. Sounds great idea but how come we are now agreeing to hydro power on a number of rivers in the midlands to generate energy to run about 400 homes without regard to the wild life or fish injured or killed in the turbines. This relative small return on energy appear insignificant if the ecology is damaged to achieve it. Wish people would study the turbine schemes first, and also see the bigger picture; no carbon reduction - no trout and salmon.